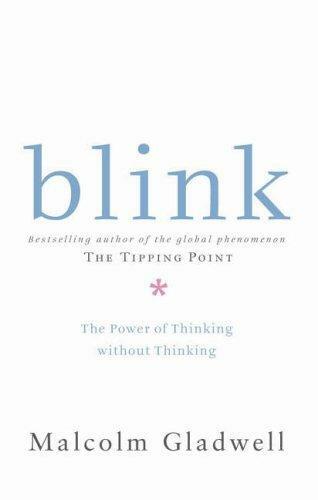 Blink is about the first two seconds of looking--the decisive glance that knows in an instant. 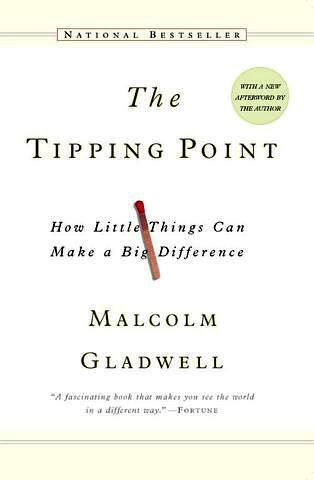 Gladwell, the best-selling author of The Tipping Point, campaigns for snap judgments and mind reading with a gift for translating research into splendid storytelling. Building his case with scenes from a marriage, heart attack triage, speed dating, choking on the golf course, selling cars, and military maneuvers, he persuades readers to think small and focus on the meaning of ”thin slices” of behavior. The key is to rely on our ”adaptive unconscious”--a 24/7 mental valet--that provides us with instant and sophisticated information to warn of danger, read a stranger, or react to a new idea. Too many stories used to reiterate one simple but admittedly excellent rule. 1. 要做出最优决策，并不是掌握的信息越多越好。关键在于找到“关键”的、“有效”的信息。无效的信息是你和真相之间的迷雾，有效信息才是关键路径。 2. 我们的潜意识正像一台默默运行的超级计算机，不断吸收我们看到、听到、闻到、摸到、想到的所有信息，进行分类、加工、产出、储存。进而在我们遭遇问题时，能够在一瞬间给予我们答案。 3. 潜意识和显意识是两种不同的思维模式。潜意识是静默运行的，显意识是按需运行的；..
71 Were these people lying? Were they ashamed to admit the they could solve the problem only after getting a hint? Not at all. It’s just that Maier’s hint was so subtle that it was picked up on only on an unconscious level. It was processed behind the locked door, so , when pressed for an expression, all Maier’s subjects could do was make up what seemed to them the most plausible one. Were these people lying? Were they ashamed to admit the they could solve the problem only after getting a hint? Not at all. It’s just that Maier’s hint was so subtle that it was picked up on only on an unconscious level. It was processed behind the locked door, so , when pressed for an expression, all Maier’s subjects could do was make up what seemed to them the most plausible one. The adaptive unconscious is not to be confused with the unconscious described by Sigmund Freud, which was a dark and murky place filled with desires and memories and fantasies that were too disturbing for us to think about consciously. And what do we tell our children? Haste makes waste. Look before you leap. Stop and think. Don't judge a book by its cover. We believe that we are always better off gathering as much information as possible and spending as much time as possible in deliberation. We really only trust conscious decision making. But there are moments, particularly in times of stress, when haste does not make a waste, when our snap judgments and first impression can offer a much better means of making sense of world. Every moment - every blink - is composed of a series of discrete moving parts, and every one of those parts offers an opportunity for intervention, for reform, and for correction.